When they agreed to spend Halloween night in the middle of a swamp, the boys of the Society of Sublime Scribblers thought they were in for a few scary stories, but they never expected to become part of one! Instead of treats, the boys receive a heaping bag of tricks when the Bayou Bogeyman traps them into playing his twisted game: unless they can tell stories sinister enough to chill even the Bogeyman’s bones, the boys might just become his midnight feast. This coming-of-age story shows how two boys work hard to fix a practical joke gone bad. Brandon and Wayne really enjoy going to the Houston Mounted Police’s stables after school to do odd jobs and help out with the horses. That is until they get into trouble with Chris Parker, a rookie cop. This tasty tale tells the story of a family on a bright, sunny morning. Maw Maw wants nothing more than to make her beautiful, delicious, buttery biscuits, but she is out of the most essential ingredient—sody sallyraytus. Without this, no one can enjoy their breakfast! Being the new bird in town is tough, and when the Bad Bird Bunch give Bill the brush-off, Bill learns that the best of friends don’t have to look or act just like him. Bill discovers that real friends are those who stick by your side—even when you have to face up to mean bullies or a big, hungry alligator. Gavin is determined to grow a giant pumpkin and win first prize at the fair! Before he can enter his gourd in the contest, Gavin must first learn how to plant, fertilize, and pollinate the pumpkin seeds. With the help of his family and his neighbors, Gavin watches the seasons pass and his small pumpkin grow bigger and bigger. 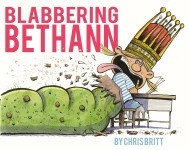 What Bethann wants, Bethann gets in this hilarious take on familiar childhood antics. As Bethann barges through her day, she tramples anyone who gets in her way. As she roars and stomps and chomps across the classroom, the playground, and her fellow students, her greedy, selfish behaviors transform her into dauntingly voracious dinosaurs. Imagine how shocked the evil voodoo queen is to hear “Black as nuit her hair does flow, lips très rouge, and skin like snow. Blanchette is the fairest I know, as far as the bayous flow.” So begins this Cajun retelling of Snow White and the Seven Dwarfs. Children will love following poor Blanchette’s adventures through the Honey Island Swamp. And the whole family will enjoy the recipe for delicious jambalaya, just like Blanchette prepares for the seven little Cajuns! Hardcover. With curiosity as her guide, Bluebonnet, the most traveled armadillo in Texas, leaves her home in the Hill Country for a visit to Dinosaur Valley State Park. Bluebonnet, everyone’s favorite Texas armadillo, is about to take a trip that will elevate the reputation of armadillos to new heights and altitudes! She’s blasting off on the space shuttle to become the first armadillo to attempt a spacewalk. She and her sister, Normadillo, are touring the Johnson Space Center in Houston when the scientists and astronauts ask her to help them out with their next space-shuttle mission. Paperback. The escapades of our favorite plucky armadillo continue with this latest book in Mary Brooke Casad’s popular series. Bluebonnet always manages to teach youngsters an important lesson, and this time, it’s all about preserving and sharing history. Bluebonnet, everyone’s favorite itinerant armadillo, is on the road again! In this latest picture book by the Texas writer and illustrator team of Mary Brooke Casad and Benjamin Vincent, Bluebonnet visits her sister Irmadillo in Kilgore,Texas. There, she meets her four nephews—Wildcatter, Bradford, Hunt, and Lloyd—all named for aspects of the East Texas oil history. The armadillo boys take Aunt Bluebonnet on a trip to the East Texas Oil Museum where they experience firsthand how oil is produced, what the town was like in the 1930s when oil fever struck, and even what it feels like to drill for oil! Bluebonnet, the travelling Texas armadillo, shows children the fun of exploring new places as she tours the Marshall Train Depot and learns about its history. Hardcover. In the latest book of the Bluebonnet Series, our favorite armadillo explores the Ocean Star Museum in Galveston, Texas. On the boardwalk at the Galveston harbor, Bluebonnet meets Red, the knowledgeable brown pelican, who persuades her to follow a class on their tour of the museum. Bluebonnet secretly follows the group and learns about the offshore oil system, life on a drilling rig, and offshore oil history. Bluebonnet, the armadillo, is on her first visit to the Texas state fair. Things get exciting when she is sent on a search through the fair to look for clues to help her find her Aunt Armadilly. Along the way, Bluebonnet is mistaken for a football during a Longhorn versus Sooner Cotton Bowl game and makes friends with Joe Bob, a rabbit who has lost his boy.